Since ancient times people have told stories about otherworldly beings that roamed the depths of oceans, lakes, and rivers. Some were beautiful and dangerous, like the mermaids and sirens that tried to lure sailors to their deaths. But most were hideously terrifying, with teeth, claws, or tentacles that could kill and devour even the largest ships. 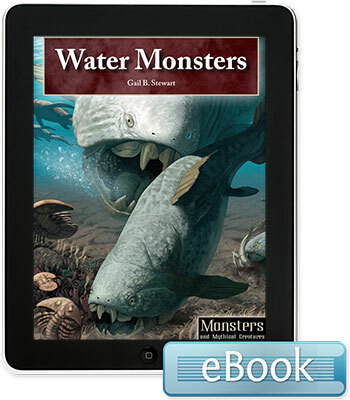 Even in the twenty-first century, many people (including some scientists) believe that some of these water monsters still exist, and swear that they have had closeÃƒand sometimes very dangerous--encounters with them.